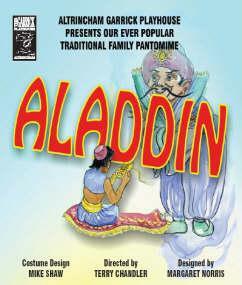 What a treat we have in store for you this year with another great Traditional Pantomime for all the family to enjoy. Be whisked away on a magic carpet to China to meet up with those hilarious characters Wishee Washee and Widow Twankey and of course Aladdin himself. Join them in a fun pact Christmas spectacular with dazzling costumes, great songs, gags galore and all the fun of this super show. Don?t wait, book now, last year?s pantomime was the tenth year in a row to completely sell out with hundreds turned away, don?t be one of them.